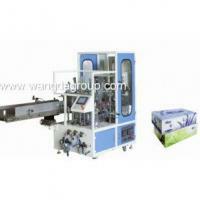 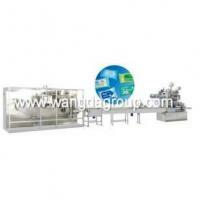 This machine is to produce 5-20 pieces wet wipes per package. 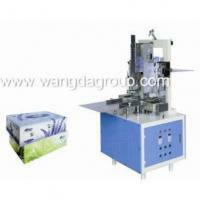 WD-WT-5-20P Full Auto Wet Tissue Folding and Packing Machine, is suitable for producing 5-20pcs per package wet wipes.The operation of the machine is easy and the function is very steady. 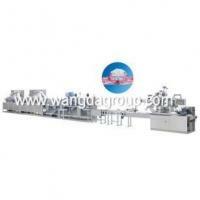 The part which contacts with liquid is made of stainless steel; the machine with nice outline is controlled by PLC. 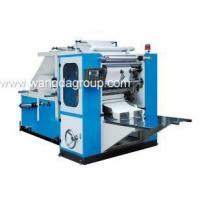 The flow chart of this machine isUnwinding Raw Material-Folding-Wetting-Cutting-Pile and Counting Tissue-Transport Tissue to Packing-Output finished products. 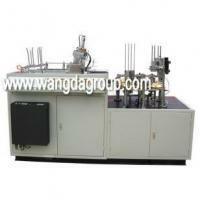 All the processes are finished on the machine. 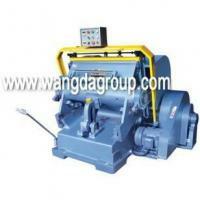 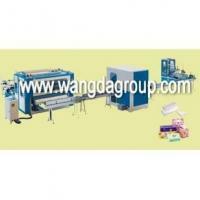 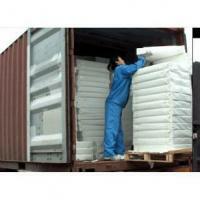 The whole machine is full automatic ,fast ,durable ,stable and the production process is sanitary.